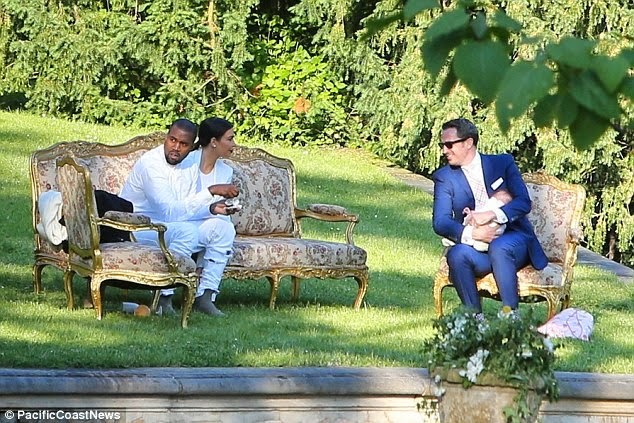 Kim Kardashian and Kanye West were the epitome of loved-up newlyweds as they attended the wedding of the rapper's stylist on Saturday. 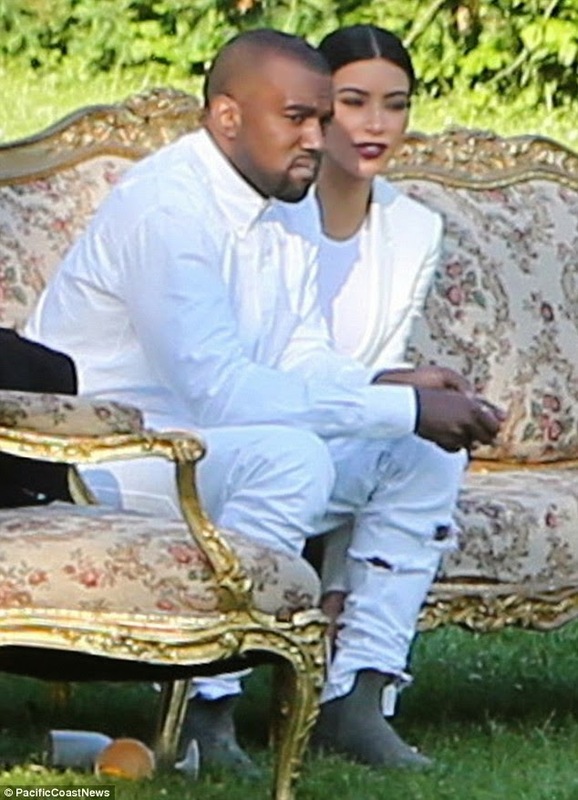 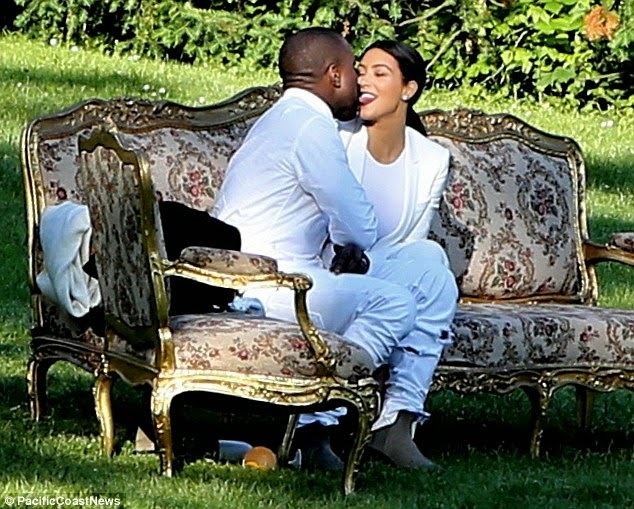 Sitting on an ornate antique lounge in the lush gardens of Ploskovice Castle in the Czech Republic, the new Mr. and Mrs. West were seen cuddling and giggling, with Kim even cheekily poking her tongue out at her husband before going in for an open-mouth kiss. 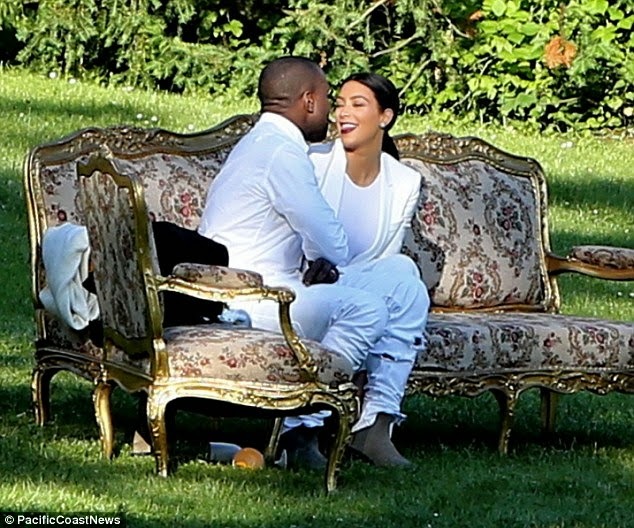 The pair looked relaxed and carefree as they took in the romantic surroundings, seemingly oblivious to everyone around them as they indulged in some very uncharacteristic public displays of affection.